So Michael Gove is no longer our Secretary of State for Education. He presided over a time of headlong change in our education system. Some would describe him as a visionary; others, such as the teaching unions, would probably say he attempted too much too quickly, and that would be the polite version. at the Department for Education. As education secretary, Michael Gove was a deeply controversial figure. He brought in free schools, rewrote the National Curriculum and rapidly increased the number of academies in England, so that now around 50% of schools in England have academy status. For academies and free schools he brought in legislation allowing these institutions to employ unqualified teaching staff. He also presided over the dramatic rise in the maximum level a university can charge in tuition fees from £3000 to £9000. His supporters would say Michael Gove took on an education system unwilling to change. He brought forward difficult but necessary changes despite fierce opposition. His critics would say that he is a deeply divisive figure, a zealot bent on his own view of what an education system should look like, stuck in the past and out of touch with the modern realities of teaching. It is true he got himself into many arguments: he fell out with Deputy Prime Minister Nick Clegg, with Ofsted Chief Inspector Michael Wilshaw, with his own Conservative colleague, Home Secretary Theresa May over the alleged plot by Islamic extremists to seize control of certain schools in Birmingham. Did Prime Minister David Cameron think his personal friend Gove was a liability as the general election approaches next year? 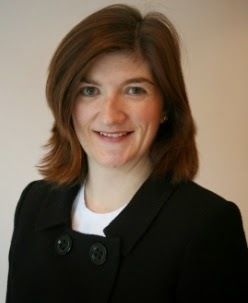 He has been replaced by Nicky Morgan and time will tell whether her tenure makes for more harmonious relationships with teaching bodies, Ofsted and other interested parties. She takes over at the Department for Education at a time of change, but will not be blamed for the series of reforms that she will have to preside over. We wish her well.